Little Golden Book "Story Time". 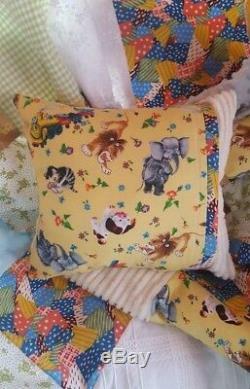 Luxurious custom baby bedding This SUPER cute "Story Time" baby bedding set was designed using Little Golden Book fabric that is now retired and out of print. This rare fabric features, The Tawny Scrawny Lion, Saggy Baggy Elephant, Poky Little Puppy, Scuffy and The Little Engine that could. Paired with vintage chenille and soft minky, this set is sure to be baby's favorite! 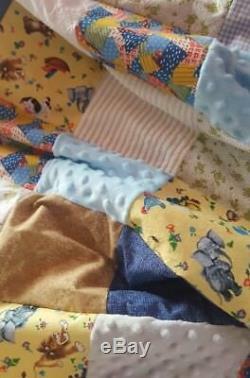 Quilt measures a full 30" x 40", is backed in choice of ivory, white, blue, green, gold, elephant grey or brown minky, filled with premium non-allergenic batting and is all hand tied. 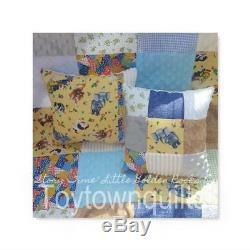 10"x 12" story time pillow Mini 11"x 11" patchwork pillow. Additional items are available to match. Makes a LOVELY gift for baby! Add me to your favorites! The item "Little Golden Book Vintage Chenille Elephant Lion Baby Bedding Crib Quilt Gift" is in sale since Tuesday, March 13, 2018. 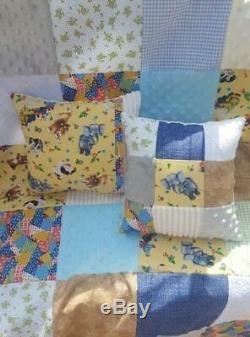 This item is in the category "Baby\Nursery Bedding\Nursery Bedding Sets". 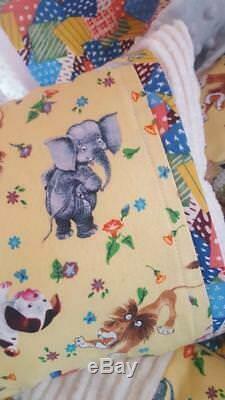 The seller is "toytownquilts" and is located in Leominster, Massachusetts. This item can be shipped worldwide.